Your parents and professors think college is strictly about getting an education, but “figuring out what you want to do with your life” doesn’t always happen in the classroom. Being a student is also the time to explore your passions and skills -- and potentially leverage that after-school hobby to make fat stacks of cash. (Or, sure, change the world.) So the next time you’re about to delete that half-baked idea you typed in the Notes section of your phone at 2am, consider these co-ed success stories and go for it instead -- even if it means skipping out on your math pre-req to code in your dorm. The Backstory: The concept for Food Recovery Network, a nonprofit started by Ben Simon, Mia Zavalij, and Cam Pascual during their senior year at Maryland, began during a late night visit to the dining hall. The classmates saw staff gathering up lots of uneaten food and learned it was headed to the dumpster. So, they collaborated with other students to convince school officials to let them donate the food to homeless organizations, and FRN was born. The Result: By the end of the 2011 school year, Food Recovery Network’s first in operation, 30,000 meals had been donated to fight hunger. 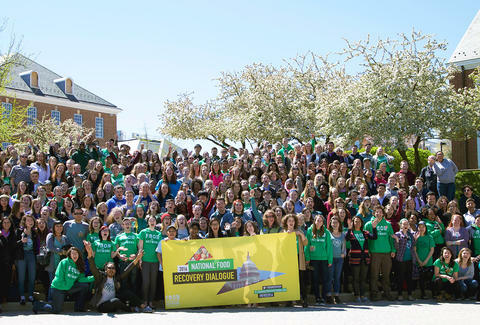 Though Simon’s since stepped down from running the nonprofit (to found Imperfect Produce), in the six years since FRN began, it’s become the largest student movement against food waste in the country. There are now more than 230 chapters at universities across the country and 2 million pounds of food have been donated thanks to their efforts. 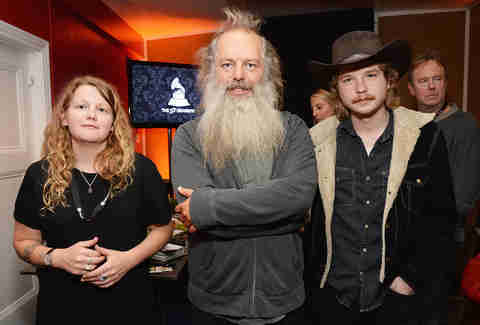 The Backstory: In 1983, Rick Rubin broke one of the cardinal rules of being a decent college roommate and set up an entire recording studio in his dorm room. Within a year, the NYU senior was working with Russell Simmons and recording the Beastie Boys and LL Cool J out of Room 712 in Weinstein Residence Hall. Rubin continued running the business out of his dorm until he graduated, even throwing wild record release parties. And his roommate? Apparently he was totally cool with barely sleeping. The Result: Def Jam Recordings is considered one of the most influential labels of all time, credited with helping bring hip-hop into the mainstream; today megastar artists such as Kanye West, Nas, and Justin Bieber are signed to its roster. Though Rubin left Def Jam shortly after his college days, the label launched him to be one of the music industry’s biggest names; he’s since worked with hundreds of artists, won seven Grammys, and is now worth $250 million. The Backstory: While the thought of making a physical, paper copy of a document in 2017 may seem as archaic as dial-up AOL, in 1970, the concept was as innovative as the latest Apple watch. So, when Paul Orfalea noticed a copy machine in the USC library, he realized that not everyone had access to such a hi-tech device and decided to remedy that. He used a $5,000 loan to open a 100sqft space near campus, which housed a single copier. As for the name? Kinko’s was Orfalea’s college nickname, thanks to his curly head of hair. The Result: The idea quickly took off, and just five years after Orfalea opened that little shop, there were 24 Kinko’s locations in California. In 2004, Kinko’s was acquired by FedEx and subsequently rebranded as FedEx Office. (Orfalea has since left the company, too). But by 2011, the copy chain had grown to nearly 2,000 locations -- enough to be considered the seventh-largest printing company in North America. 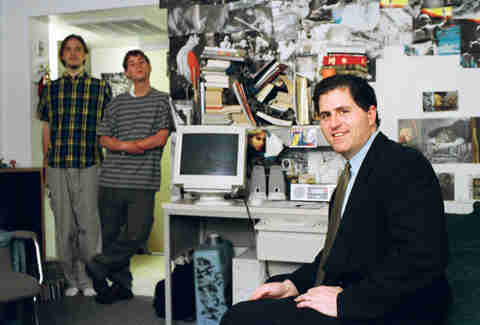 The Backstory: During freshman year of college, when most of us were preoccupied with learning to share a bathroom with 13 people, Michael Dell was dreaming of a company that would sell computers directly to consumers (something unheard of in 1984). So, at just 19 years old and with $1,000 in seed money from his family, he started PC’s Limited out of his dorm and set out to make custom computers. By the end of the school year, Dell, a pre-med student, opted to drop out of UT to focus on his company full-time. The Result: Dell is now the third-largest PC vendor in the world, and as of 2016, it was the fourth-largest private company in the United States. Today, the company is worth over $22 billion -- a handy anecdote to keep in your back pocket the next time you ask your folks to help fund your startup idea. The Backstory: Before confusing grandmas on Facebook everywhere, The Onion was just a lowly college side project. Started by two University of Wisconsin students, Tim Keck and Christopher Johnson, the satirical news outlet began its life in 1988 as a weekly print magazine with just four staff members and distribution limited to area campuses. After a year of running it, Keck and Johnson sold The Onion to their publisher and illustrator for a mere $16K. The Result: The Onion grew in popularity and moved online in 1996, but it actually didn’t give up its print publication until 2013 -- though unlike much of old media, the brand has deftly adapted (if not defined) how to be a successful online publisher. The Onion, and its two other sites, Clickhole and The A.V. Club, now attract more than 30 million visitors a month. Oh, and that $16K sale price? Well, the company sold a 40% stake last year in a deal said to be just south of $200 million -- making it more valuable than plenty of outlets that report actual news. The Backstory: As a young college student in 2002, Susan Gregg Koger was obsessed with vintage finds -- so much so that she couldn’t fit all the clothes in her tiny dorm closet at Carnegie Mellon. So, with the help of her then-boyfriend, now-husband Eric Koger, she started selling the overflow fashions on eBay. Eventually, she moved the operation to her own website, and the two began running ModCloth as a full-fledged business out of Eric’s basement. 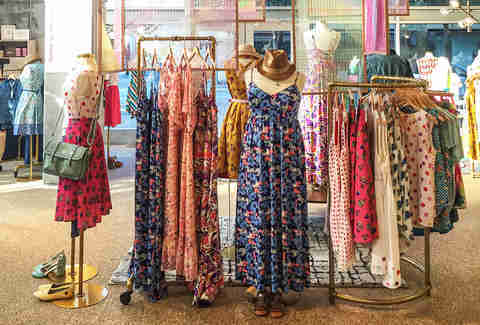 The Result: By 2005, ModCloth was one of the fastest-growing online retailers in the country; at that time, vintage fashion sites were few and far between. Since then, ModCloth has expanded to multiple offices, opened a pop-up store in Austin, and championed the body positivity movement. Earlier this year, Walmart purchased the indie retailer for the hefty sum of $51-$70 million. (The exact details are hush-hush.) See, a clothes addiction can pay off. The Backstory: Like any ambitious college student, George Srour landed himself a sweet summer internship, with the United Nations in 2004, during which time he traveled to Uganda. After seeing children there attending classes taught outside, miles from student’s homes, with no mode of transportation, he returned to William & Mary with the goal of raising $10,000 for a Ugandan school in one month. His fellow students hit -- and greatly surpassed -- that goal, raising $45,000 for the project, and Building Tomorrow was born. 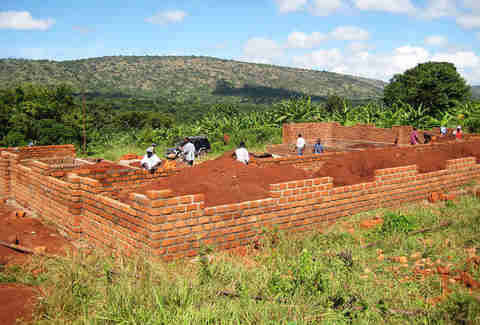 The Result: Since 2004, the nonprofit has built 32 fully-operational schools across East Africa, providing an education to 10,000 kids. In addition, the organization has partnered with the Clinton Global Initiative and set the ambitious goal of raising $12 million by 2019. They even got a visit from Bill and Chelsea Clinton in 2012 -- which is basically like winning a Grammy in the NGO world. The Backstory: Steve Huffman and Alexis Ohanian co-founded Reddit as UVA seniors 12 years ago -- long before Ohanian became better known as the soon-to-be Mr. Serena Williams. But Reddit didn’t appear fully-formed as that rabbit hole of threads we know it as today. After the classmates’ original business idea, an advance-ordering app called “My Mobile Menu,” was rejected by the startup accelerator Y Combinator, Huffman and Ohanian thought up Reddit -- and its signature upvote system -- in an act of desperation. Y Combinator gave the pair $12K to get started, and the “front page of the Internet” was born. The Result: Reddit’s influence is obvious -- there’s a non-zero chance you found this story there. The site counts 300 million monthly users, and its latest round of funding ($200 million in July) values the company at a cool $1.8 billion. Reddit is also the de-facto poster child of the internet, determining which memes go viral and hosting AMAs with a sitting US president.